Significant investments in analog CCTV systems may have already been made. The technology shift to network video does not, however, mean that existing analog CCTV investments have to be discarded. With a network video solution, you can integrate your existing analog system into an IP-based solution. The solution enables you to take advantage of numerous functionalities such as remote pan/tilt/zoom, Power over Ethernet, audio, video motion detection, while meeting user requirements for image quality, recording capabilities, reliability, and cost-effectiveness. Image quality is clearly one of the most important features of any camera, if not the most important. Superior image quality enables the user to more closely follow details and changes in images, making for better and faster decisions to more effectively safeguard people and property. It also ensures greater accuracy for automated analysis and alarm tools. Network cameras provide high-quality video images, and megapixel and HDTV network cameras are available to provide even more image details. 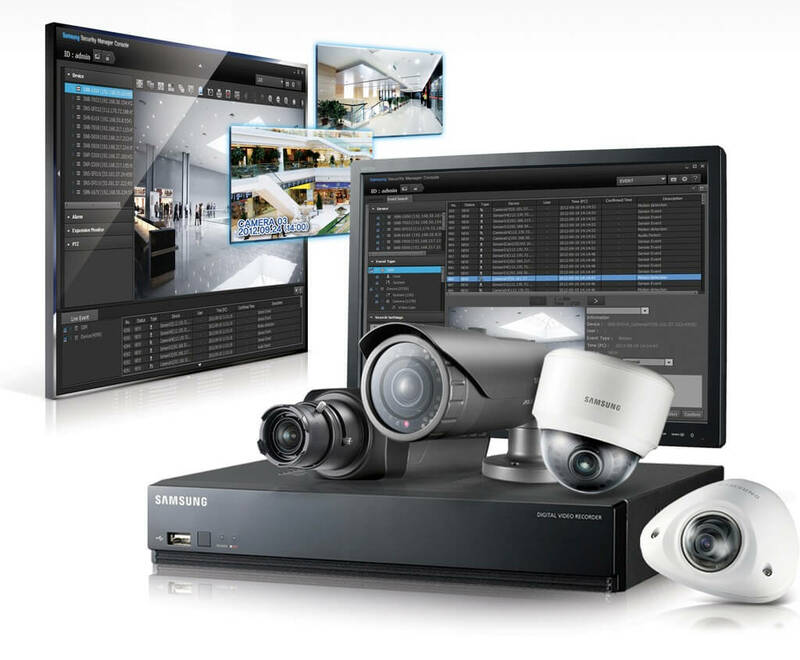 A network video system can be expanded by adding more network cameras. You can choose exactly what you need today, and scale the system at any time to meet your growing needs. New technologies, additional cameras, and extra storage capacity can all be easily added as required, thanks to strict adherence to industry standards. There are almost no limitations as to where a network video product can be placed. Network video has the capacity to provide a high level of integration with other equipment and functions, making it a continually developing system. A fully integrated network video system can be used for a multitude of applications simultaneously: for instance, access control, building management, point-of-sales systems, ATMs, as well as fire, intruder and visitor management. These days, a massive amount video is being recorded, but never watched or reviewed due to lack of time. As a result, events and activities are missed, and suspicious behaviors remain unnoticed. With network video, intelligence has been brought into the camera itself. Network cameras can have built-in video motion detection and alarm management so the camera decides when to send video, at what frame rate and resolution, and when to alert a specific operator. Other unique features include audio detection and active tampering alarm. The majority of businesses now have high-speed, IP-based networks connected to the Internet. Adding a network video system simply utilizes and extends the same infrastructure to include video functionality. Standard IT equipment such as switches, PC servers for video recording and storage, are used, so existing investments in IT infrastructure and devices can be leveraged, ensuring high return on investment. 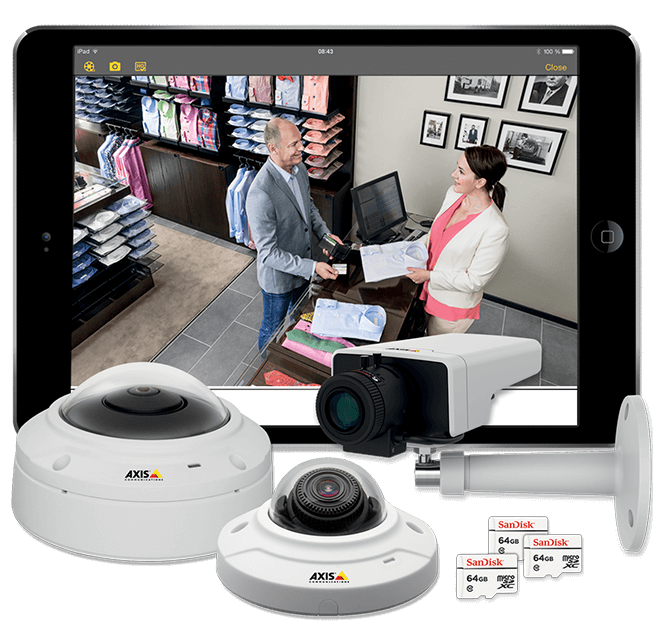 Network video offers more ways to secure access to video than can be provided by an analog CCTV system. Passwords can be used to limit access, and video can be encrypted before being sent over the network to make sure it cannot be viewed or tampered with. The system can also be set up to authenticate the connection using encrypted certificates that only accept a specific network video device, thus eliminating the possibility of anyone hacking into the system. A network video system is extremely flexible. Cameras can be moved freely around the network, and the system can be expanded by adding more network cameras. This is easily done regardless of whether the new cameras are to be placed at the same site, or at a new location communicating over the Internet. With network video, users can access real-time video at any time from any authorized computer anywhere. Network video products provide an easy way to capture and distribute high quality video over any kind of IP network or the Internet. The video can be stored at remote locations for convenience and security, and the information can be transported over the LAN or Internet. Based on open standards, Axis network video products run on IP networks. Using standard PC server hardware rather than proprietary equipment such as DVRs radically reduces management and equipment costs, particularly for larger systems where storage and servers are a significant portion of the total solution cost. Additional cost savings come from the infrastructure used. IP-based networks such as LANs and the Internet can be leveraged for other applications across the organization. Many network cameras employ progressive scan technology that better depicts moving objects clearly. This advanced image capture technology means that the whole image is captured at one time, thus providing crystal clear images even with a high degree of motion. Not available for analog cameras, Power over Ethernet (PoE, IEEE 802.3af standard) means that the cameras get power from a PoE-enabled switch or midspan over the same standard cable that transmits video. PoE provides multiple benefits, including reduced installation costs and flexibility in camera placement. In addition, cameras can get centralized backup power from the server room, so in the event of a power failure they will continue to operate. 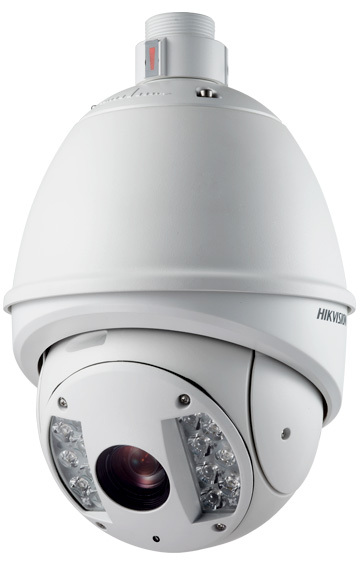 A megapixel network camera provides more detail or can cover larger areas. In addition to the advantage of depicting more detail with greater pixel density, it can be used to digitally pan, tilt and zoom, and to create multi-view video. An HDTV network camera provides even better video quality with full frame rate and excellent color representation. Sometimes wireless solutions are the best and most costeffective option for video surveillance installations. For example, it is useful in historic buildings, where the installation of cables would damage the interior, or within facilities where there is a need to move cameras to new locations on a regular basis. The technology can also be used to bridge sites without expensive ground cabling. All the advanced features offered by network video come at a cost. The initial price for a network camera can be higher than an analog camera, if one compares only the camera. But comparing the cost per video channel, the network video system, with all its superior flexibility and performance, quickly becomes comparable with an analog system anchored by a DVR. In many system configurations, the upfront cost for a surveillance system based on network video products is lower. According to independent research on the differences between analog and digital solutions, installation, configuration and training costs for analog systems are almost 50% more than for IP systems. For example, cabling is almost three times as expensive in analog systems compared with IP-based systems. The primary reason is that coaxial cabling is more expensive than Ethernet cabling. Also, analog typically requires separate power cabling, while Power over Ethernet eliminates the need for electrical connections in the IP system, and separate cabling is also needed to control analog PTZ cameras. A network video system allows users to incorporate open PC systems and open storage with video management software, which costs 20% less than DVRs. 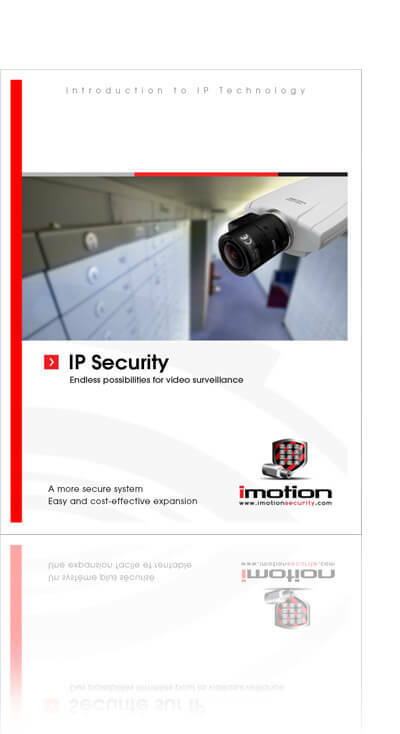 If an IP infrastructure is installed, the network video system is always lower in cost. Network video systems of 40 cameras or more have a lower total cost of ownership than analog-based systems. 32 cameras is the break-even point for IP systems vs. analog. Beyond 32 cameras, the network video system in common scenarios has a lower cost, and between 16 and 32, the cost is quite similar or may be slightly lower for analog systems. Network video products have other benefits that cannot be quantified: scalability, easier integration with other systems, superior image quality, better maintenance and service, easier troubleshooting, and many more.